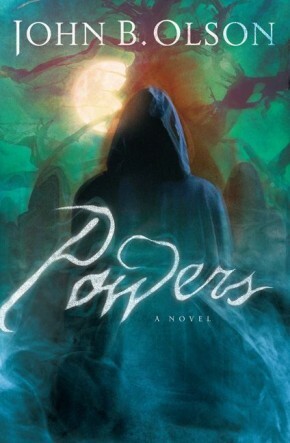 Powers, the follow-up to John Olson’s Shade (“a must-read for those who enjoy Ted Dekker and Frank Peretti” — Publishers Weekly), introduces a sheltered Gypsy girl named Mariutza. Her grandfather utters a mysterious last request before dying in her arms after being shot by ten cloaked men. The whole world seems to join in the chase—helicopters, soldiers, government agents, and the police are all trying to kill her. Mari’s only hope of survival is to find Jaazaniah the Prophet, the mythical hero of her grandfather’s bedtime stories. But she has never been outside the swamp or known other humans besides her grandfather and one teacher. How can this lone girl survive the bewildering world of men long enough to find a prophet who might not even exist?